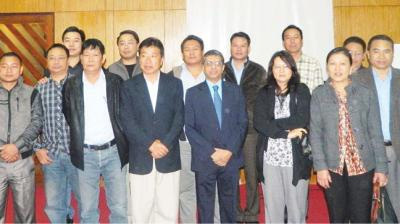 Dr. Suvro with doctors at CME in Kohima. The Medicine Department of Naga Hospital Authority Kohima (NHAK) has organized a Continuing Medicine Education (CME) for scientific discussion on �Interesting case study discussion in clinical cardiology� on October 13 last here at Hotel Japf�. The programme was sponsored by Zuventus Healthcare Ltd and Vitatron: The pace makers. 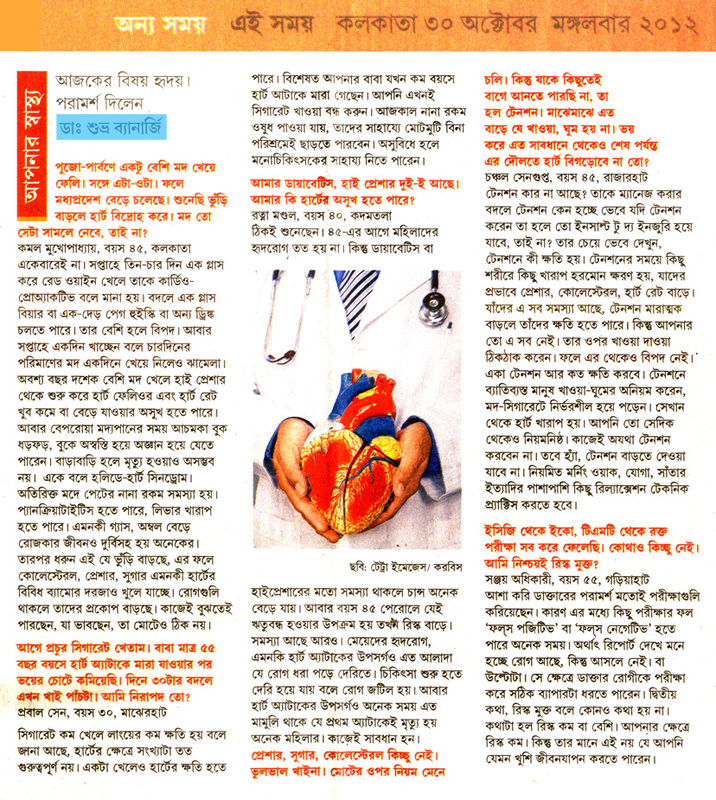 Dr. Suvro Banerjee, MD, MRCP (UK), FRCP (Edin), FICC, FRCP (London), Senior Consultant Interventional Cardiologist, Apollo Gleneagles Hospital, Kolkata spoke on Acute Coronary Syndrome and �Devise theraphy in heart failure.� Dr. Banerjee told the media persons that one of the keys to preventing heart disease is getting risk factors under control, such as high blood pressure and high cholesterol levels. The prevention measure to follow to avoid heart problem, according to him, included; to eat healthy diet, change in lifestyle, exercise and quit smoking. Dr. W. Nyuthe, Head of Medicine Department, NHAK chaired the programme. 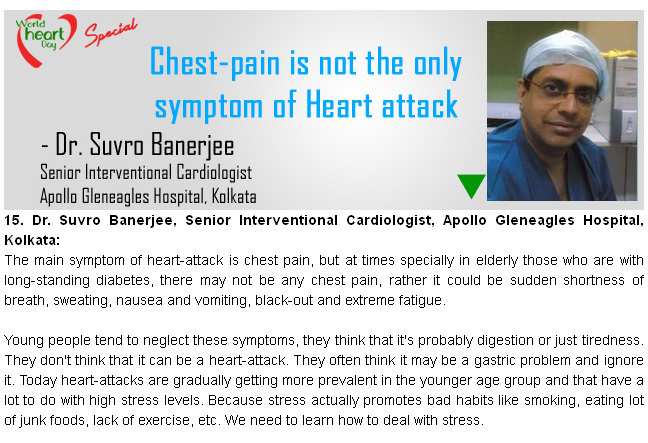 Dr. Suvro Banerjee MD, MRCP(UK), FRCP (London), FRCP(Edin), FICC, is a consultant cardiologist at Apollo Gleneagles Hospital, Kolkata. It is widely believed that coronary artery disease and heart attacks seldom occur in women. Unfortunately, this is a myth.�Although it is true that women are somewhat protected from heart attack till the age of menopause, this protection is lost in smokers and also in the presence of risk factors such as diabetes or hypertension. Women with diabetes have higher chance of dying from heart attack compared to men with diabetes.�Low HDL and high triglycerides in the blood are associated with greater risk of heart attack in women than in men. Symptoms of heart attack are often not typical in women. The symptoms are often mistaken for acidity or �gas�. Therefore, women tend to ignore the early symptoms of heart attack and less likely to seek medical help. Studies have shown that women take 2-4 hours longer than men to respond to symptoms of heart attack. Because of late presentation with symptoms of heart disease, associated diseases such as that of kidney are more commonly found in women suspected of heart problems. To make matters more complicated, non-invasive diagnostic tests for coronary artery disease such as exercise ECG or thallium testing may be falsely positive in some women. This leads to further unnecessary testing with consequent mental stress for patient and the family. From the treatment point of view, some differences have been reported. Aspirin has been shown to be beneficial mostly in women above the age of 65 years.�Aggressive cardiac interventions have shown to be not as effective as in men. Statistically, cardiovascular disease kills a higher percentage of women than men (55% vs 43%). It is seldom realized that a woman is five times more likely to die from heart attack during her life-time than from breast cancer. Sexual discrimination becomes evident in medical research. Although perhaps unintentionally, women are underrepresented in research on heart diseases. 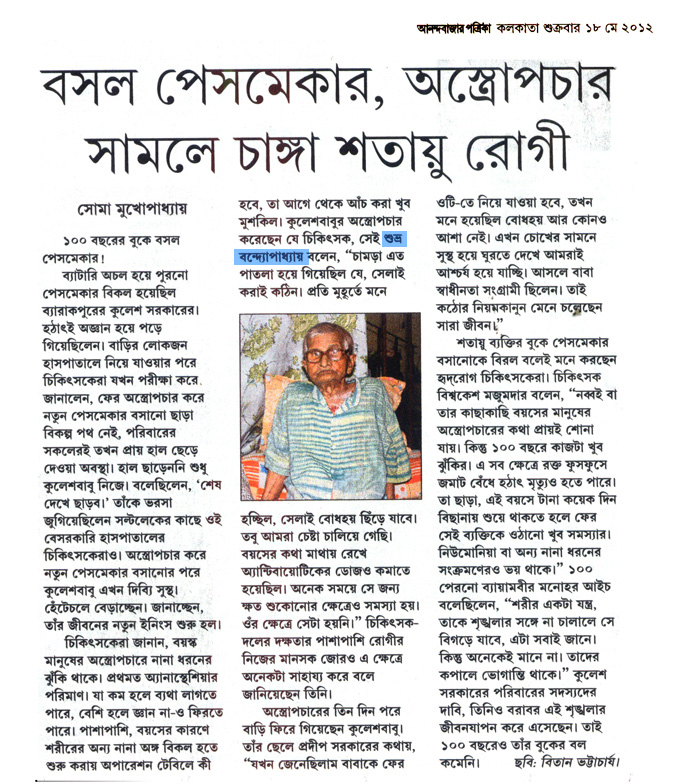 DR SUVRO BANERJEE HOPES THE COMMON MAN DOES NOT HAVE TO COMPROMISE ON ACCOUNT OF POLITICAL CHAOS OR PROBLEMS a new dawn with a new beginning in the governance of West Bengal, there are a lot of expectations that the common man has. I too am looking forward to a further developed and better balanced Kolkata where the common people do not have to compromise or face problems because of any political chaos. There have been times when we've had to cancel our flights and conferences or face problems on the road because of some political rally or bandh. Critical patients can't make it to the hospitals on time and lose their life. As a doctor and a human being, it disturbs me. It is the common man who falls prey to the nasty politics which claims to be for the good of people, but eventually creates problem for them. Like the rest, I too want to enjoy my right to individual peace with the change in governance. The state should be developed in terms of education and industrialisation but not at the cost of poor people. I also hope that red-tapism is eradicated since the new government has promised that the betterment of the people will be their priority. 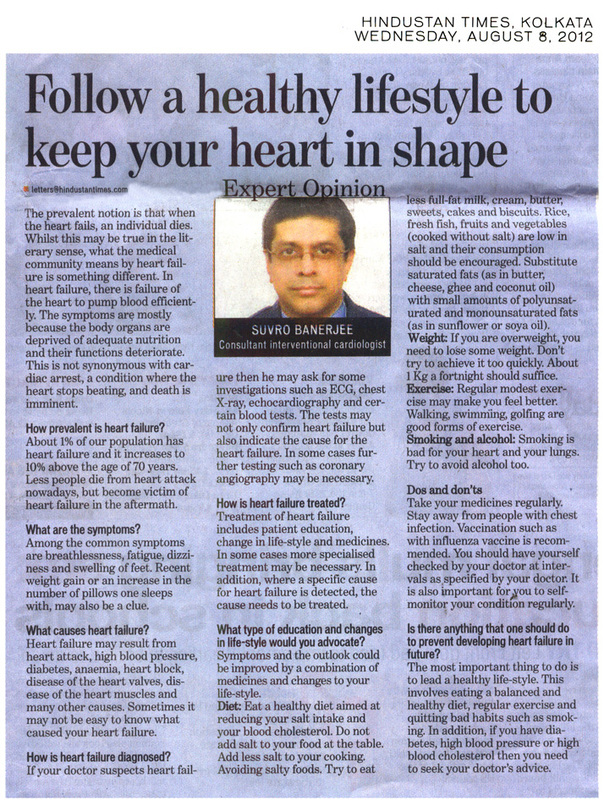 Banerjee is a consultant interventional cardiologist at Apollo Gleneagles Hospital. CHANGES DO NOT HAPPEN OVERNIGHT BUT ALL OF US NEED TO WORK TOGETHER FOR A BENGAL WE CAN BE PROUD OF, SAYS ANINDYA let's join hands change becomes necessary when a political party becomes synonymous with the government and that is exactly what the situation has been in Bengal. The leaders of the then ruling party became complacent because of the lack of a strong and organised opposition. In the last 10 years, the people started losing faith in the government. But a weak opposition and adherence to ideologies kept them in power for so long. The polling process too wasn't fair at all times. Change was in the offing. It was just a matter of time. The Election Commission played a vital role in ensuring that the polling process was fair and hassle free. Youngsters turned out in great numbers to cast their vote, there was an unprecedented increase in the margin of women voters too. The present government has a tough task at hand as expectations are skyhigh. Health and education are two sectors that had become overtly politicised. I hope that is looked into. They should provide for better treatment facilities, more hospitals, better doctors, upgrade of the existing government hospitals and better treatment at cheaper rates. Safety should be ensured for one and all. The aesthetic beauty of the city should be maintained and preserved. Changes do not happen overnight but all of us need to work together for a Bengal we can be proud of. Anindya is the lead singer of Chandrabindoo. IT�S TIME THE GOVERNMENT LAUNCHED EFFECTIVE AWARENESS PROGRAMMES FOR THE BENEFIT OF BENGAL�S AGRICULTURAL SECTOR, FEELS BANI BASU the right blend as an individual born to witness the greatest revolution of all times � the epic Indian Independence, I have since then witnessed and contributed to the changes that has made India what it is today. Political overhaul, social reformation and women�s emancipation, I have been through it all and each time embraced change to reap its benefits. 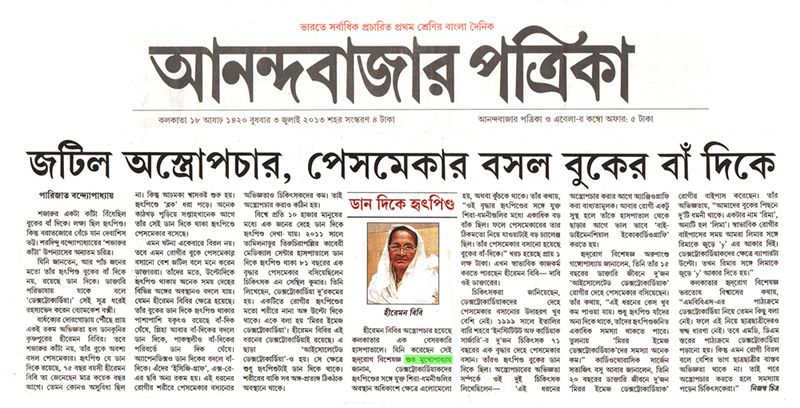 Immediate effect needs to be launched by the government for the benefit of the people of Bengal. Speaking of grievances, I definitely feel that a lot could have been done in the field of education. The syllabus should be updated and most importantly no reservations should be made in this sector. Culturally, Bengal has blossomed with the western world permeating into our oriental spaces. Although our cultural change is a direct consequence of globalisation, it is important to uphold the heritage of Bengal through cultural programmes. However, what concerns me the most is rural Bengal. Small plots and divided lands can never yield enough production. 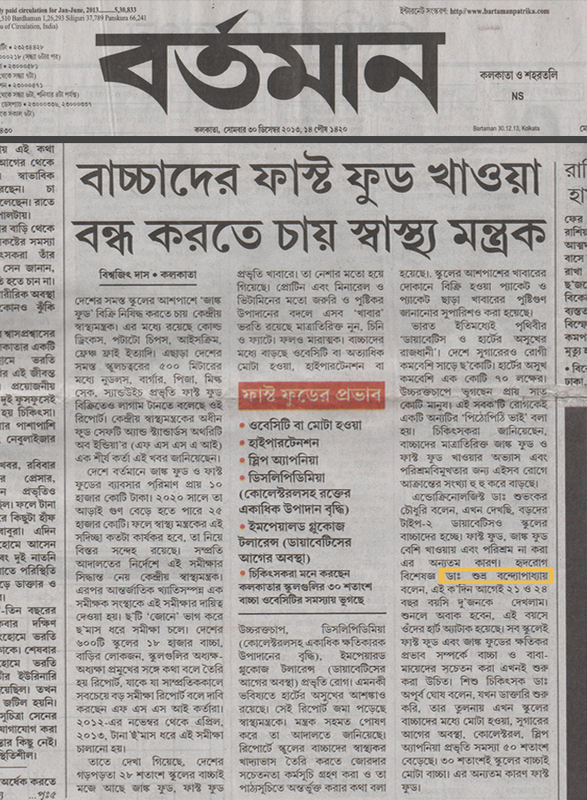 It�s time the government launches effective awareness programmes for the benefit of Bengal�s agricultural sector. 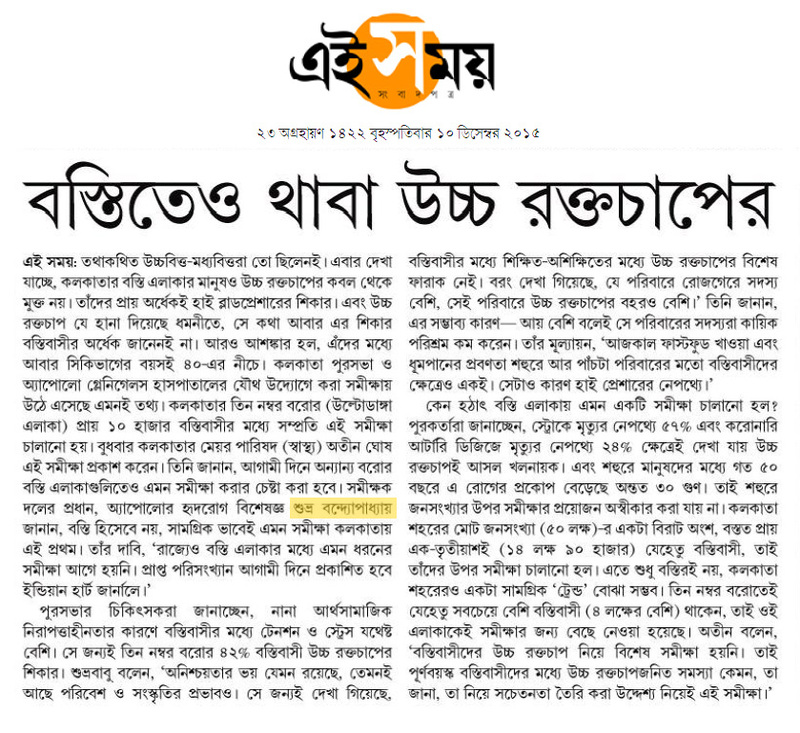 Basu is a writer, essayist and critic. After finishing my medical degree from Calcutta Medical College, I went to UK in 1994 for further studies and also to practice medicine. The reason for leaving home was lack of proper exposure back home. My subject, Interventional Cardiology, was in an inchoate state then and there was not much scope for me to explore. However, couple of years down the line I had to come back to India to be by the sides of my ailing parents and subsequently found that a lot has changed since I left Kolkata. Lot of good work is going on here now and also there has been an exponential rise in both quality and quantity of amenities and infrastructure. Earlier trained doctors didn�t get the chance to put their skills into practice. The hope of being able to execute my training made me decide to settle here. 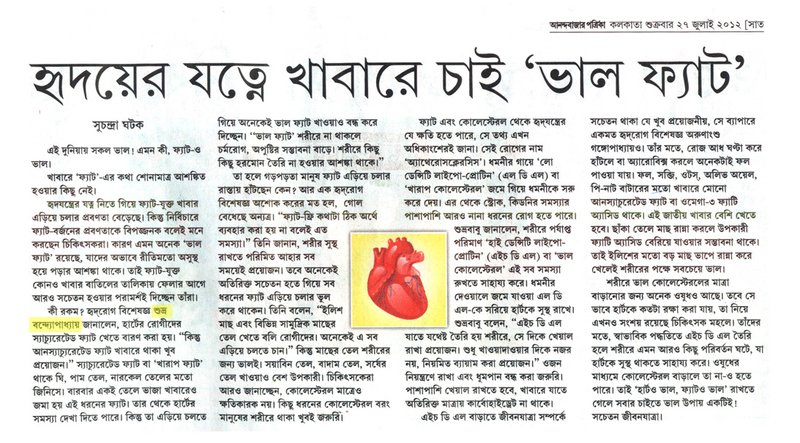 And I have found that not only in cardiology, in other branches of medicine too there has started a trend among the NRI docs to come back and settle in Kolkata. 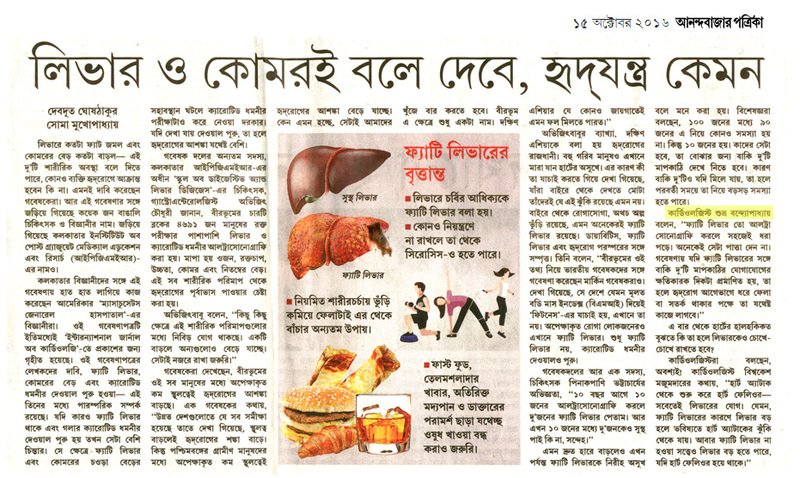 The recent trend shows that Kolkata will be having more and more heart and diabetes patients in near future. We are going to have more ill population and that will give rise to the demand for proper health care. 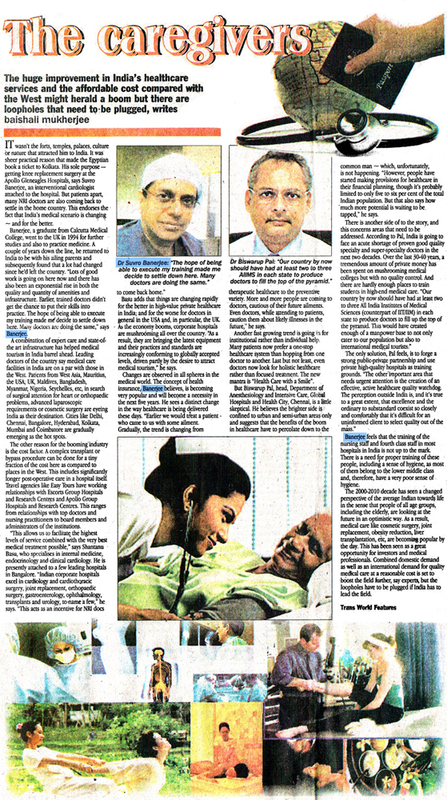 More well equipped hospitals with specialised doctors are in the cards. And the state health care condition being poor the private hospitals are going to get more patients. The concept of health insurance is becoming very popular and will become a necessity in the next five years. 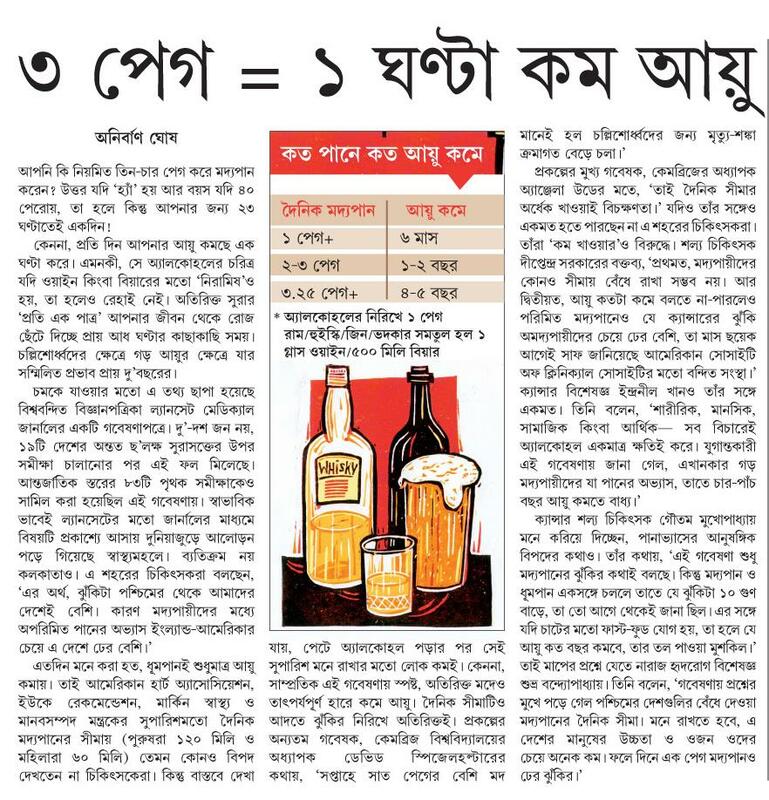 With the increase in the country�s economy people�s spending power has increased and that has made quality health care affordable not only in Kolkata but also in the periphery. A number of good hospitals are coming up in the adjoining areas of the city thus providing good quality health care to the suburbs. A distinct change can also be noticed in the way health care is delivered now-a-days. Earlier we used to treat a patient who came to us with some ailment. But gradually the trend is changing from therapeutic health care to preventive health care. More and more people are coming to doctors to be cautious of their future ailments. 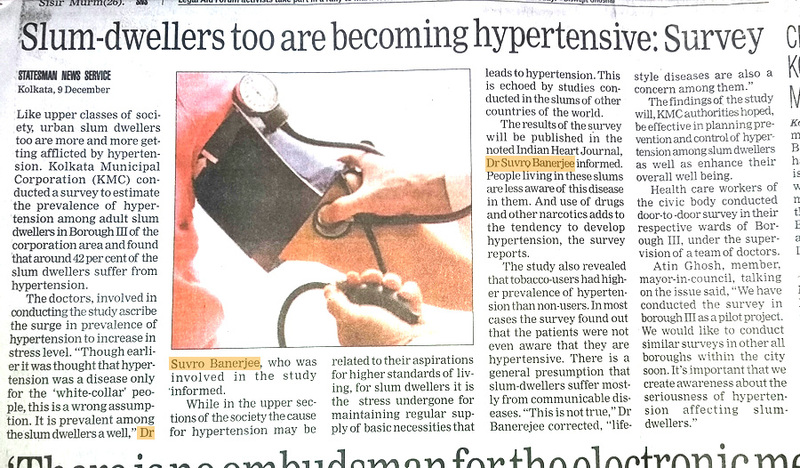 Even doctors while treating a patient are predicting them with there future illnesses. Also fast growing is the trend to go for institutional help than individual ones. Many now prefer one stop health care than hopping from one doctor to another for treating different diseases. And last but not the least doctors now look for holistic health care rather than focused treatment. The new mantra is �Health Care with a Smile�. And we docs now send our patients back home not only with a healthy body but with a spirited mind and a smiling face. The huge improvement in services available in the country�s healthcare and affordable cost for foreigners have led to a booming medical care sector. But there are also loopholes that need to be plugged, reports Baishali Mukherjee. It wasn�t the forts, temples, palaces, culture or nature that attracted him to India. It was sheer practical reason that made the Egyptian book his ticket to Kolkata. 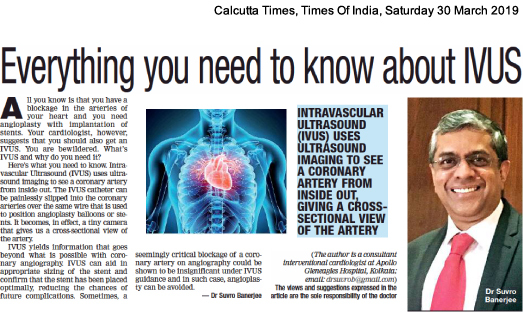 His sole purpose - getting a knee replacement at the Apollo Gleneagles Hospitals, reveals Suvro Banerjee, an interventional cardiologist attached to the hospital. 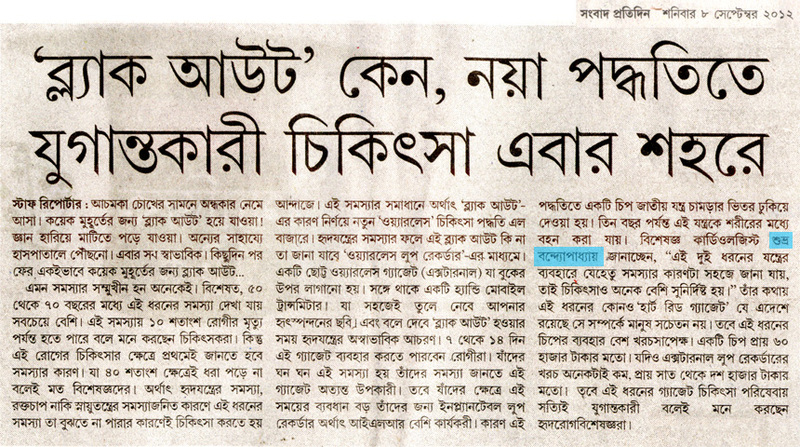 But not only patients, many NRI doctors are also coming back to settle down in the home country. This endorses the fact that the medical scenario of the country is changing and it�s changing for the better. 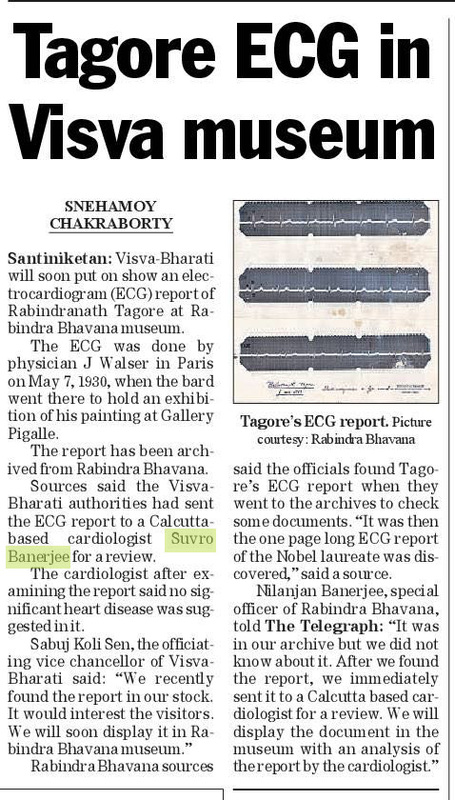 Banerjee, a graduate from Calcutta Medical College, went to UK in 1994 for further studies and also to practice medicine. A couple of years down the line, he came back to India to be with his ailing parents and subsequently found that a lot has changed since he left the country. �Lots of good work is going on here now and also there has been an exponential rise in both quality and quantity of amenities and infrastructure. Earlier, trained doctors didn�t get the chance to put their skills into practice. The hope of being able to execute my training made me decide to settle down here. 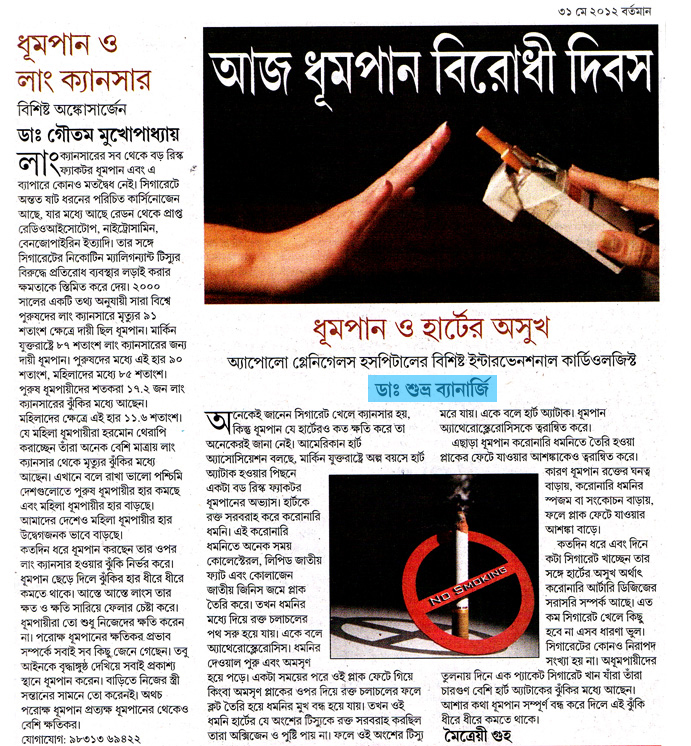 Many doctors are doing the same thing,� says Banerjee. The combination of expert care and state-of-the art infrastructure have helped medical tourism India to boom ahead. Leading doctors of the country opine that medical care facilities in the country is on par with those in the western countries. Patients from Middle East, Mauritius, US, UK, Maldives, Bangladesh, Burma, Nigeria, Seychelles etc who need surgical procedures like heart surgeries, orthopedic surgeries (joint replacements), advanced laparoscopic surgeries, cosmetic surgery etc. are eyeing India as their destination for medical treatment. Cities like Delhi, Chennai, Bangalore, Hyderabad, Kolkata, Mumbai, and Coimbatore are gradually emerging as hot spots of medical tourism. The other reason for the booming industry is the cost factor. A complex transplant or bypass procedure can be done for a tiny fraction of the cost here as compared to countries in the West. This includes significantly longer post-operative care in the hospital itself. Travel agencies like Easy Tours has working relationships with Escorts Group Hospitals and Research Centers and Apollo Group Hospitals and Research Centers. This ranges from relationships with the top doctors and nurse practitioners to the board members and administrators of the institutions. �This allows us to facilitate the highest levels of service combined with the very best medical treatment possible,� says Shantanu Basu, specializing in Internal Medicine, Endocrinology and Clinical Cardiology. Another of the doctors heading home, he is presently attached to a few leading hospitals in Bangalore. Basu adds that things are changing rapidly for the better in high-value private health care in India while for the worse for doctors in general in the US and in particular in UK. As the economy booms, corporate hospitals are mushrooming all over the country. �As a result, they are bringing the latest equipment and their practices and standards are increasingly conforming to globally accepted levels, driven partly by the desire to attract medical tourism,� he says. Changes are observed in all spheres in the medical world. 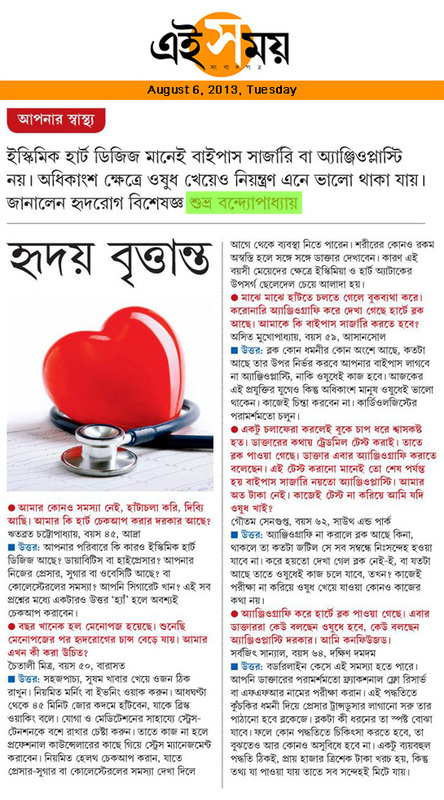 The concept of Health Insurance, believes Banerjee, is becoming very popular and will become a necessity in the next five years. He sees a distinct change in the way health care is being delivered these days. �Earlier we used to treat a patient who came to us with some ailment. But gradually the trend is changing from therapeutic health care to preventive health care. More and more people are coming to doctors to be cautious of their future ailments. Even doctors, while attending to patients, caution them about likely illnesses in the future,� he reveals. Another fast growing trend is to go for institutional help rather than individual ones. Many patients now prefer a one- stop healthcare system than hopping from one doctor to another. Last but not the least, even doctors now look for holistic health care rather than focused treatment. The new mantra is �Health Care with a Smile�. However, Biswarup Pal, head, Department of Anesthesiology and Intensive Care, Global Hospitals and Health City, Chennai, is a little skeptic. He believes that the brighter areas in healthcare are confined to urban and semi urban areas only and suggests that the benefits of the boom in healthcare has to percolate down to the common man, which unfortunately is not happening. �However, people have started making provisions for healthcare in their financial planning, though it�s probably limited to only 5 to 6 per cent of total Indian population. But that also says how much more of potential is waiting to be tapped,� says Pal. 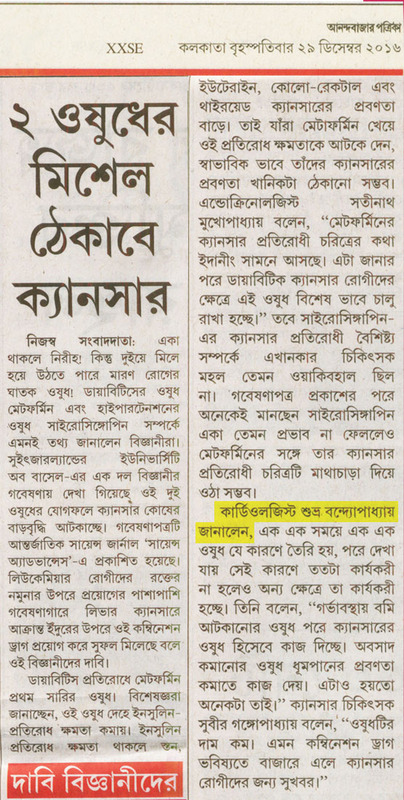 Banerjee feels that the training of the nursing staff and the fourth class staff in most of the hospitals of the country are not up to the mark. There is a need for proper training of these people including the sense of hygiene as most of these people belong to the lower middle class and therefore have a very poor sense of hygiene. The decade of 2000-2010 has seen a changed perspective of the average Indian towards life in the sense that people of all age groups, including the elderly, are looking at the future in an optimistic way. As a result, medical care like cosmetic surgery, joint replacement, obesity reduction, liver transplantation etc are becoming popular by the day. This has been seen as a great opportunity for investors and medical professionals. Combined domestic demand as well as international demand for quality medical care at reasonable cost is set to boost the field further, experts feel, but the loopholes have to be plugged to make India the leader in the field. KOLKATA: Filmmaker Rituparno Ghosh, who died early on Thursday following a massive cardiac arrest, was not a heart patient but had been suffering from a host of other life-threatening conditions. The filmmaker had diabetes, pancreatitis, was taking sleeping pills because of insomnia, and was undergoing hormone replacement therapy - all of which could have exerted pressure on the 52-year-old's heart, felt doctors. Ritupano Ghosh might have never shown it. But the 52-year-old was suffering from hosts of health problems. Sudden cardiac arrest claimed the life of the bundle of talent on in his sleep on Thursday morning. 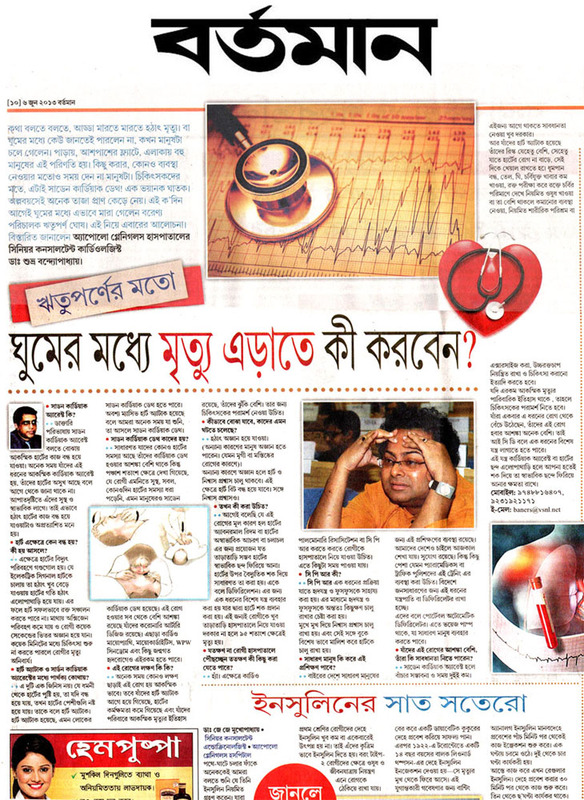 Rituparno was suffering from medical problems including diabetes, pancreatitis and insomia. "Ritu has been on medication for diabetes for long. 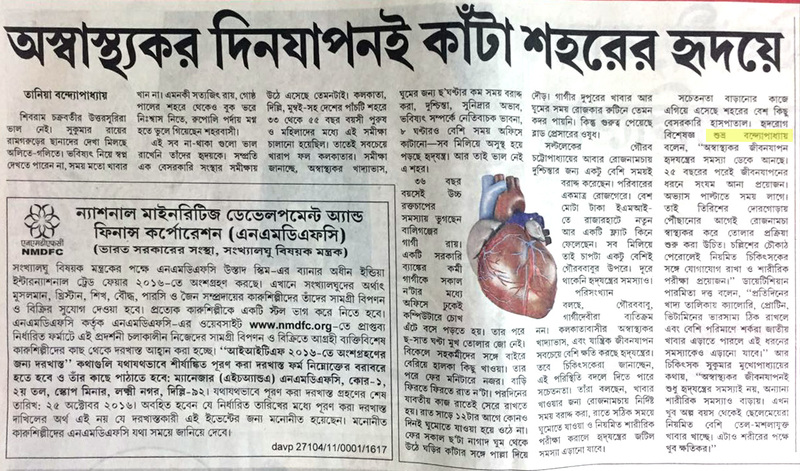 He was also on treatment for pancreatitis and on hormone therapy," said Dr Rajiv Seal of Fortis Hospitals, who has been a physician to Rituparno for almost two decades. "I spoke to him only on Wednesday, after he had just wrapped up his shoot. He said he was doing fine," Seal added. Seal had seen his patient only about a week ago. 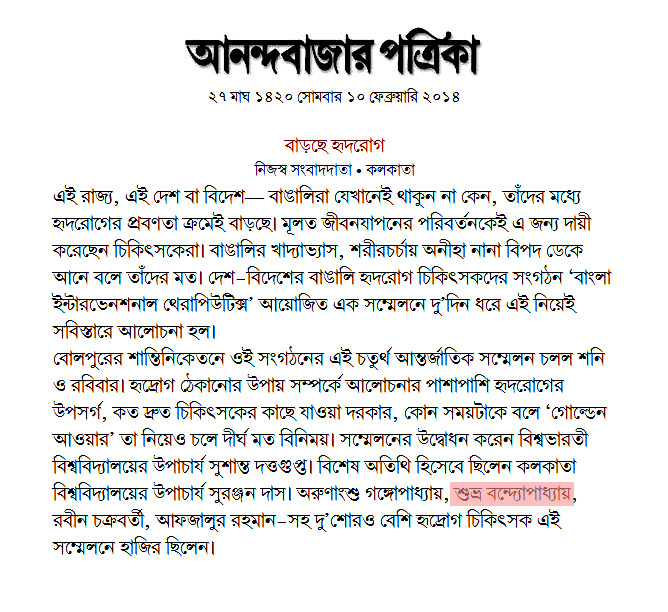 Rituparno had complained of a general weakness and Seal had advised him rest and medication. Known to be a disciplined patient, the internationally acclaimed filmmaker would usually follow all advice to a fault. But doctors said it was not always possible for him to take his medicines on time or stick to a diet chart. "Though he would try to follow a strict diet regimen and medication, it was not always possible because of the kind of work load," said Seal. "His diabetes was not well controlled. Ritu was not only my patient but also my friend who would call me up even when he had a fever. With his passing, I have lost a friend," said the doctor. According to Dr Nirup Mitra, who was called by some associates of Rituparno in the morning, the filmmaker was also on medication for insomnia. 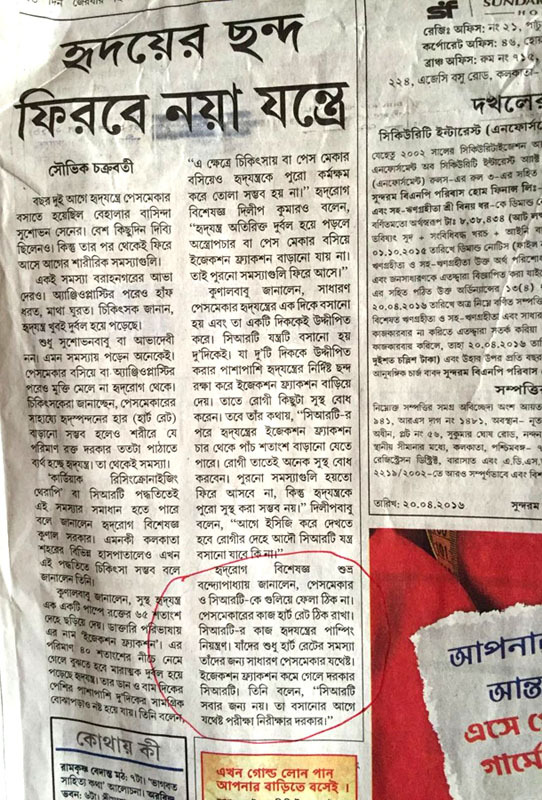 Mitra, who issued the death certificate, said this was the first time he had seen Rituparno on an emergency call. 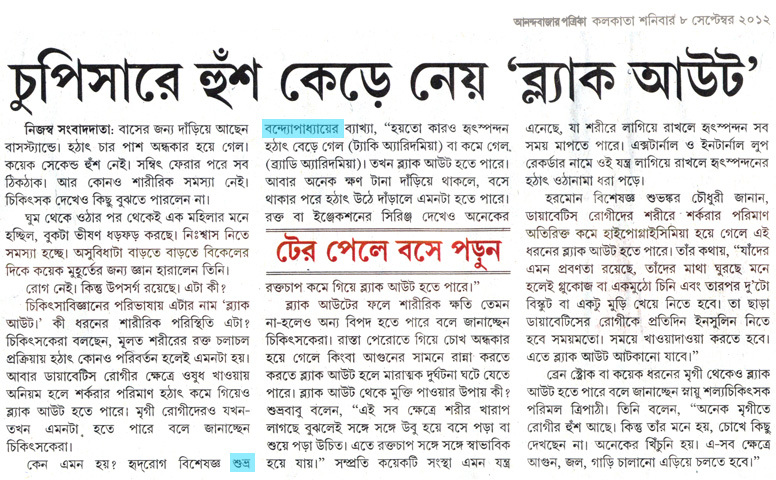 "I was told by Bishu, who looked after Rituparno, that he had been taking sleeping pills for long," said Mitra. "This could have had an impact on the functioning of the heart and brain. 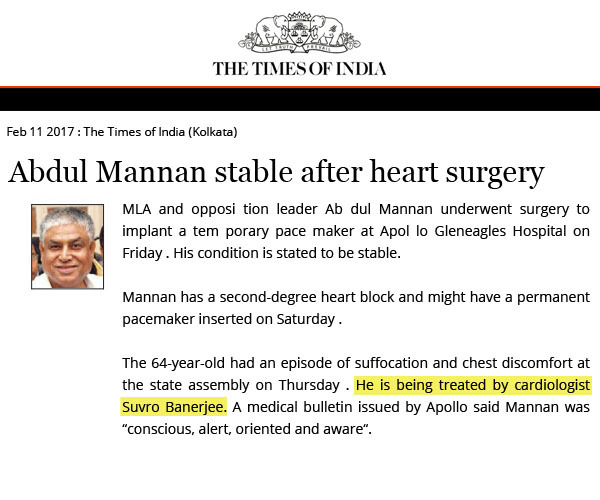 From various prescriptions and medicines I was handed down, I guess he was on early renal compromise, apart from being highly diabetic. 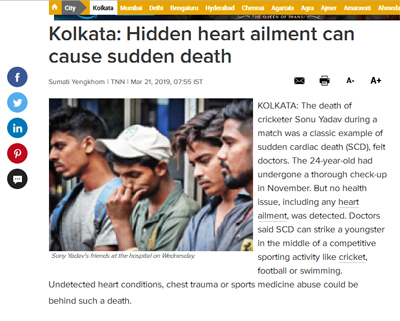 Even as he was insulin-dependent, he would take oral medication at times," said Mitra, who reached Rituparno's apartment around 7am and certified him dead of a cardiac arrest. Mitra said he was "taken aback" when some of the doctors whose prescriptions he found Rituparno had been following did not respond to his calls. 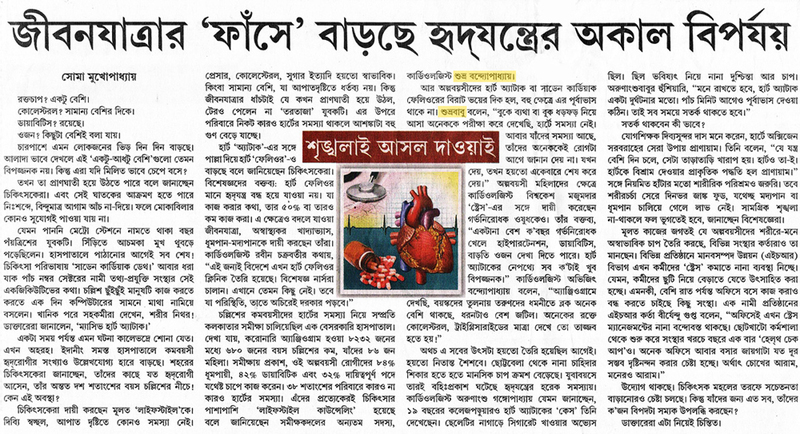 Rituparno had fallen prey to diabetes more than 10 years ago. And he had developed pancreatitis for about five years now. Pancreatitis is inflamatuion of the pancreas which produces enzymes that helps in digestion and hormones that help regulate the way the body produces sugar. 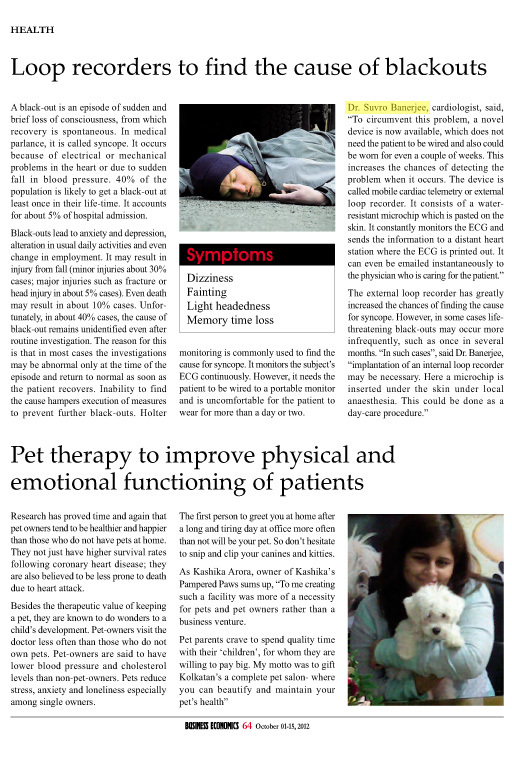 "Acute pancreatitis could be life-threatening. 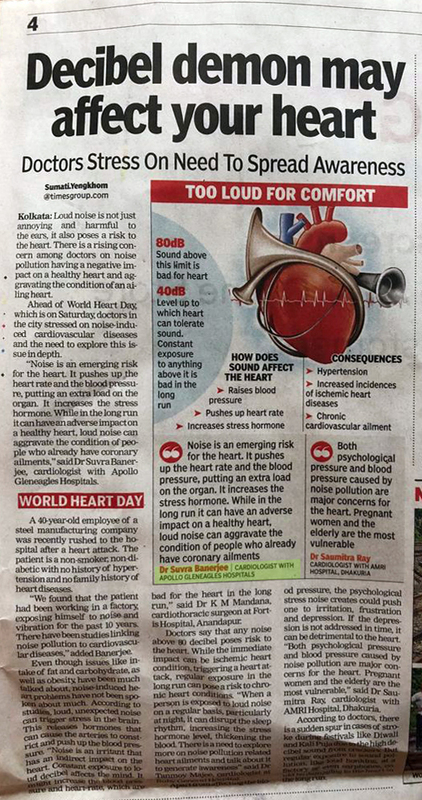 And since the film director was known to have diabetes, there was a cardio-vascular risk," said Dr Sanoy Banerjee, a gastroenterologist with Fortis Hospitals. Rituparno had undergone surgeries like abdominal plasty and breast augmentation before the shooting of 'Aarekti Premer Golpo' and reduced his weight drastically. He has been on hormone therapy since then. And doctors said that hormone drugs could trigger pancreatitis. "Two most common causes of pancreatitis is alcohol use and gall bladder stone. While it could be congenital, prolonged intake of hormone and immunosuppressant drugs could also trigger it," said Dr Mahesh Goenka, a consultant gastroenterologist with Apollo Gleneagles Hospitals. Triglyceride disorders, surgeries and trauma in the abdomen. 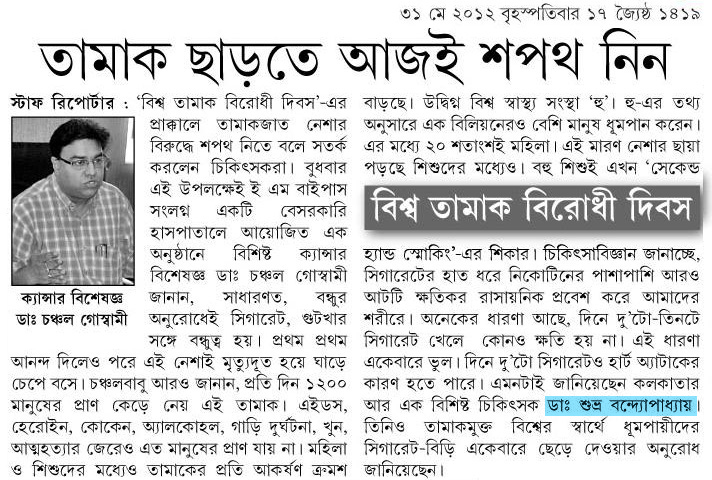 Few doctors are known to have advised Rituparno not to undergo surgeries. 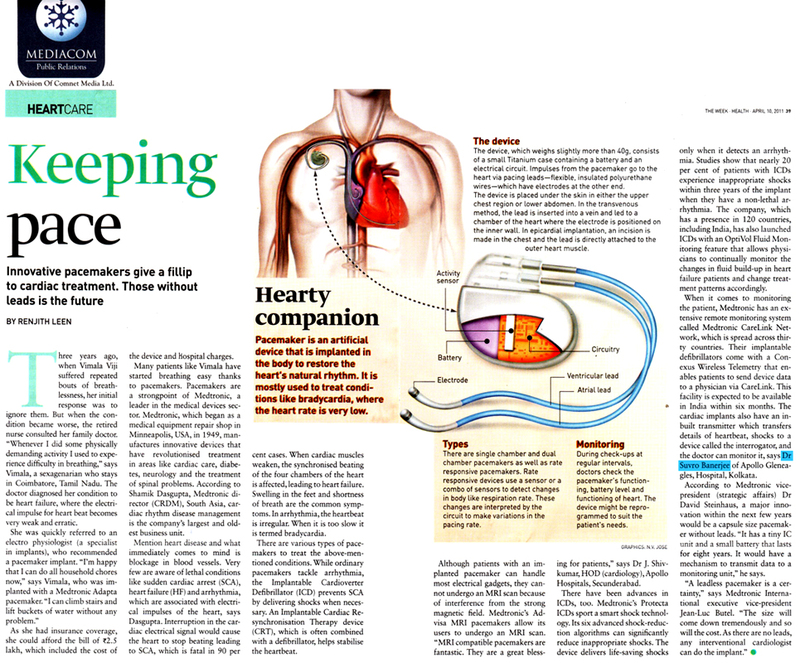 "Chances of a sudden cardiac arrest in patients with diabetes are higher than those of the normal population," said Dr Dilip Kumar, interventional cardiologist with Medica Hospital. 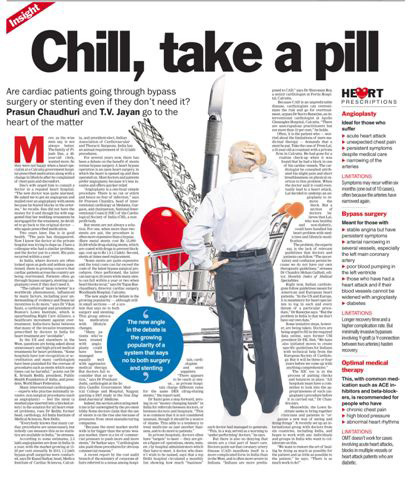 "When a patient takes hormone medicines, it creates a fluid overload in the system hence puts more pressure to the cardio-vascular system," he added. 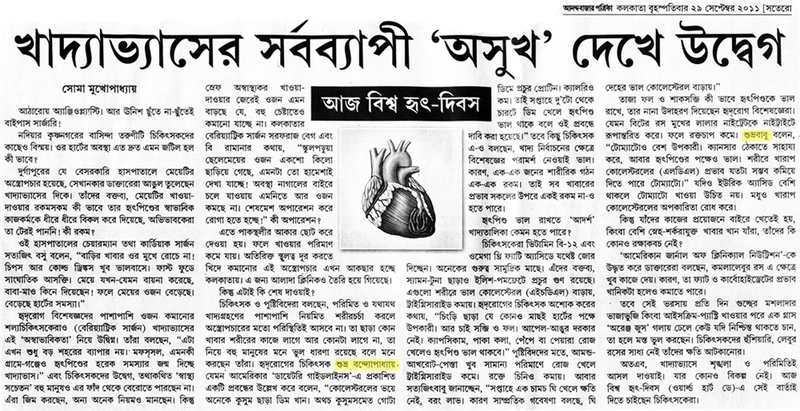 However Rituparna was not known to have been suffering from any cardiac problem. 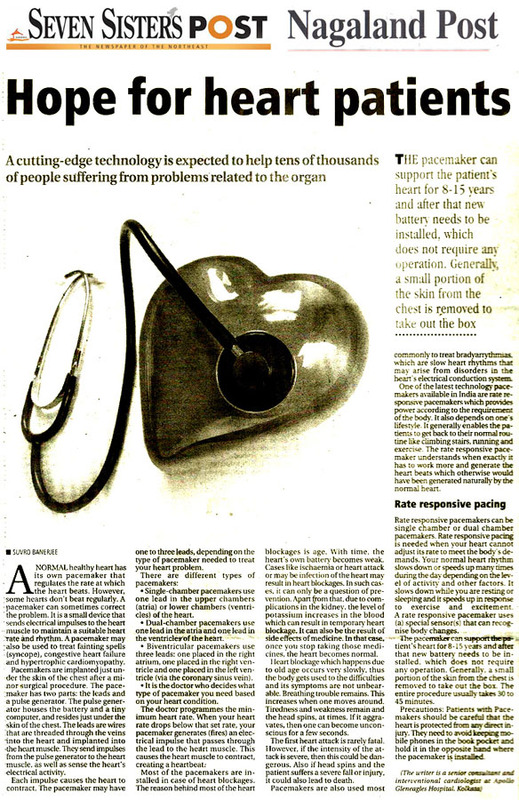 "Sudden cardiac death can happen to many who do not even know that they are suffering from any cardiac problems," said Dr. Suvra Banerjee, interventional cardiologist at Apollo Gleneagles Hospitals.